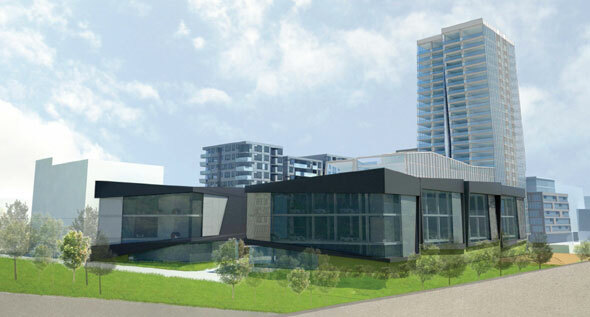 If both are built as currently planned, Riverside Square would see a southward woonerf-style extension of Munro St. lined with a mix of mid-rise commercial and residential buildings--lofts, apartments, and condos. The plans show a semi-pedestrianized, cobblestoned Munro with ample room for pedestrians and cyclists. 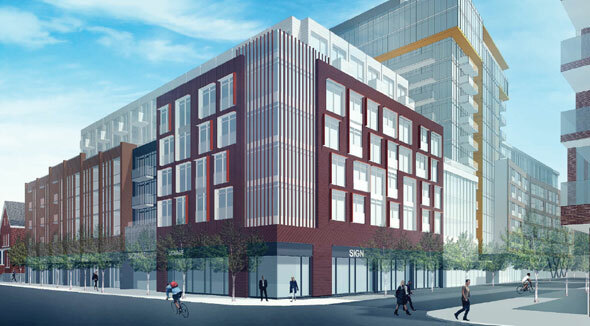 Along Queen, the buildings are planned at four storeys, rising higher as one moves deeper into the development. 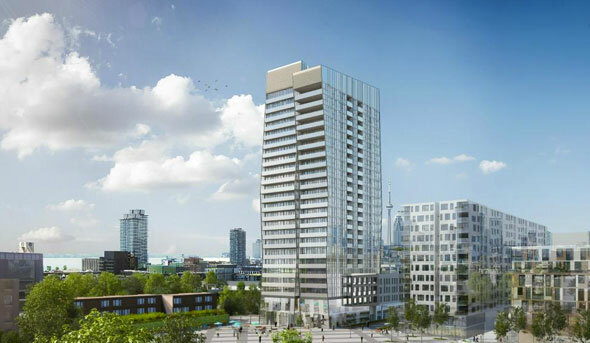 The tallest building, a central tower, is currently penciled in at 24 floors where the Munro extension meets Eastern. 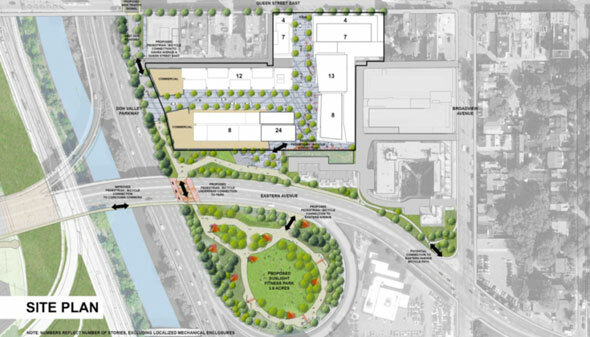 There are several nice touches included in the larger plan, the best of which is a new park for a piece of scrubland enclosed by the northbound on-ramp to the Don Valley Parkway from Eastern. The north-south pedestrian underpass that will lead to the park is shown clad in bright, welcoming colours. Both projects are in the planning stages. 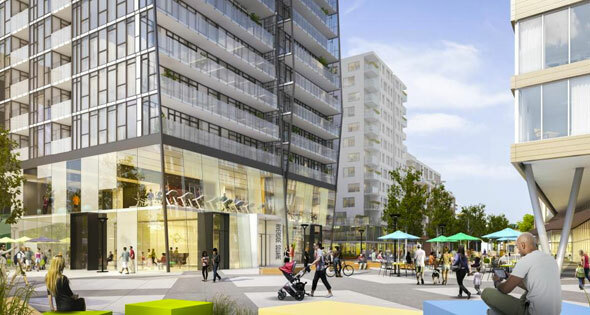 The Riverside Square development will be completed in stages, pending approval. 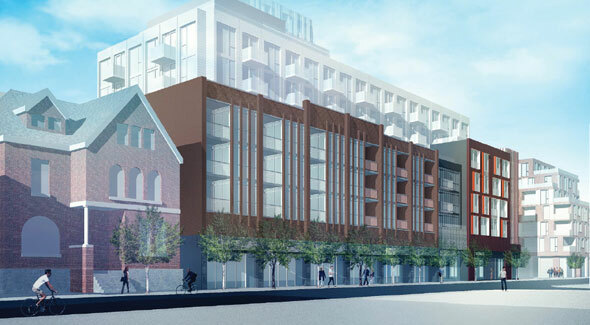 The Broadview Hotel make-over still needs to receive the green light from the city. 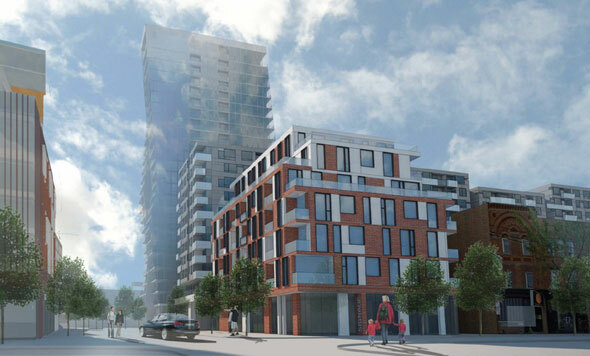 Have a look at the images below for a further sense of what's in store for the neighbourhood. 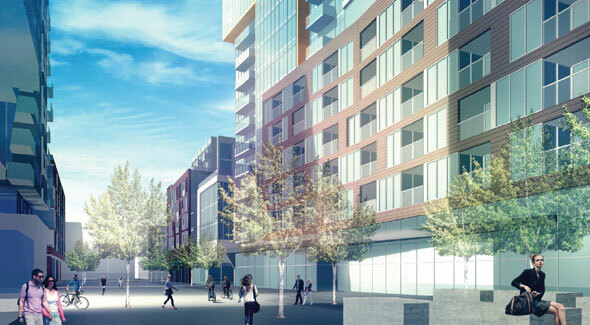 The Riverside Square development, looking southwest toward the Distillery. Looking northeast up the Munro St. extension toward Queen. Southeast corner of Queen and Munro. View down Munro Street with 24-storey tower in the background. Southwest from near Queen and Broadview. View of Riverside Square from Eastern Ave.